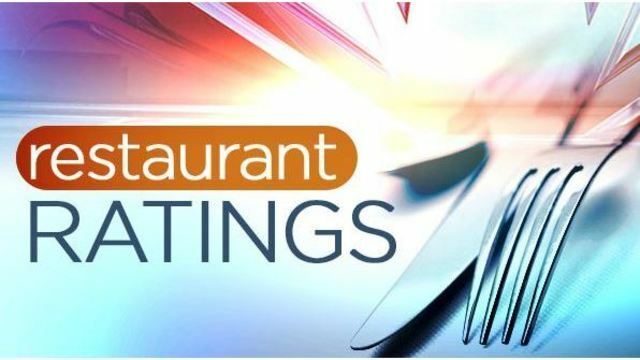 TAMPA, Fla. (WFLA) - The following Tampa Bay area restaurants received the most violations during inspections conducted Feb. 4 to Feb. 9. Potentially hazardous cold food was held at greater than 41 degrees Fahrenheit. This includes: diced tomatoes 56°F, pinco 55°F, lettuce 67°F and sour cream 61°F. Raw animal foods were not properly separated from one another based upon minimum required cooking temperature in reach-in cooler, chicken was stored over fish. A server handled soiled dishes then picked up plated food, served food, or prepared a beverage without washing hands. A server cleared dirty dishes from a table then picked up food and delivered food to guest without washing their hands. Raw vegetables were not washed prior to preparation. Employee handled partially cooked chicken with gloved hands and then proceeded to handle clean equipment and utensils without a glove change or hand washing. Potentially hazardous cold food was held at greater than 41 degrees Fahrenheit. This included: rice noodles 52°F, cut lettuce 70°F, green curry 45°F, soup 46°F and sprouts 59°F. An employee coughed on her right hand, entered the kitchen, touched her clothes then grabbed a basket of fries and was heading to serve guests. Potentially hazardous cold food was held at greater than 41 degrees Fahrenheit. This included raw chicken 51°F and cooked chicken breast at 50°F. Food stored in the holding unit was not covered. This included heavy cream and fruit. A minimum of one bathroom facility is not available for public use. The women's restroom toilets do not flush and water backs up into the toilets. In the men's restroom when the toilets are flushed, the drains back up with sewage on floor. The employee restroom toilet does not flush and water backs up into the bowl. Raw bacon and shrimp were stored over ready-to-eat spring rolls in the reach-in freezer. Roach activity was present as evidenced by live roaches found. Two were found in the buffet cabinet. The cutting board had deep cut marks and is no longer cleanable. Raw eggs were stored over ready-to-eat cheese sauce and sliced meat in the reach-in cooler. An accumulation of black-green mold-like substance was found around the soda dispensing nozzles. Potentially hazardous cold food was held at greater than 41 degrees Fahrenheit. This included: feta 54°F, ham 54°F and meatballs 62°F. An accumulation of black-green mold-like substance was found in the interior of the ice machine. An employee was eating while preparing food on the cook line. Potentially hazardous cold food was held at greater than 41 degrees Fahrenheit. This included: cut cabbage 45F°, cut tomato 45F°, cut leafy greens 44F°, cole slaw 46F°, apple sauce 46F° and potato salad 45F°. Displayed food was not properly protected from contamination. The slicing and weighing station near the front door needs protection. The interior of the oven has a heavy accumulation of black substance, grease and food debris. The soda gun holster at the bar had an accumulation of slime and debris. The cutting boards have deep cut marks and are no longer cleanable. Potentially hazardous hot food was held at less than 135°F or above. This included: marsala 117°F, sauce 115°F, potatoes 117°F and potatoes 124°F.